Apple Watch users can download the watchOS 4 update on the 19th of September. 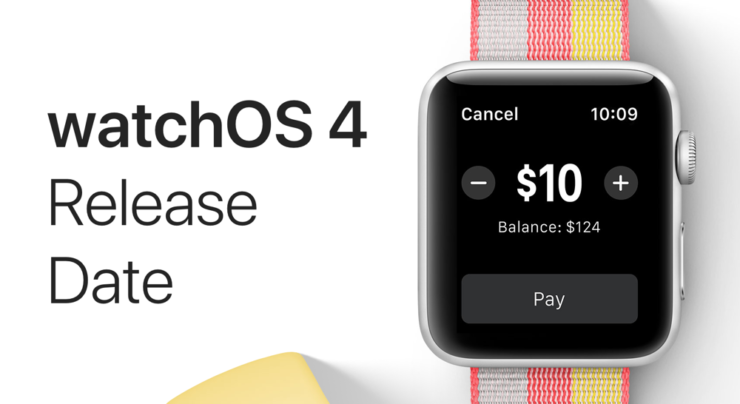 Here are more details on watchOS 4 release date. Though watchOS might be minuscule compared to what iOS, macOS and tvOS are capable of doing, but it’s an important part of the entire Apple ecosystem. With watchOS 4, Apple is pushing the Apple Watch to its limits and bringing new features to users that are surely going to please. There’s even more health related features in this release as well as new UI elements to give proceedings a brand new feel. Siri takes center stage in this update with a dedicated watch face, prompting users with what they can expect next in their day. This alone is a great little addition to the software, especially if you are someone who relies on Siri throughout the day a lot. But of course, if you live in a region where Siri is somewhat broken, then you might want to pass up on this completely. Music lovers will also love this new update as watchOS 4 intelligently syncs your most listened-to tracks on the fly and manages to even hold more of it so that you are ready to go at any given time. All of these great features and more will be available on the 19th of September. The update, as you’d expect, will be available over the air only. There will be no restore image file available for anyone if you are planning on performing a clean restore using iTunes. Therefore, it’s best to give the update a little bit of thought before downloading and installing it on your wearable. The installation process of new watchOS updates take a considerable amount of time and everyone should be well aware of it. It’s not something you would want to do on the road. Nonetheless, watchOS 4 will definitely have everyone excited.